They've got a fairly strong vinegar flavor that's tasty but not overpowering. 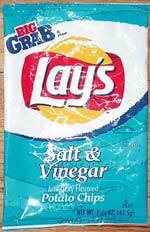 If you're hungry and the only potato chips available are Lay's, this is a far better choice than the regular Lay's. Smell test: A nice vinegary smell. 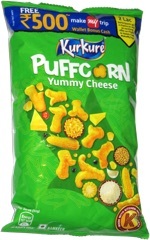 This snack was discovered by Jeremy at TechTarget headquarters, 117 Kendrick Street, Needham, Massachusetts.